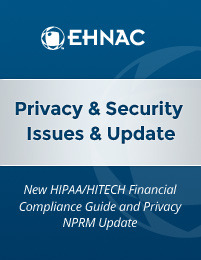 FSAP has positioned EHNAC as a nationally recognized accreditation authority for financial institutions and vendors who process protected health information, manage insurance payments, or provide revenue cycle management services. FSAP ensures that your organization follows HIPAA security and privacy rules, supports ASC X12N 835 for electronic remittance advice transactions, and meets a range of criteria applicable specifically to financial electronic health networks. 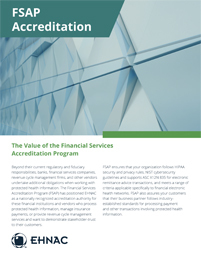 FSAP-accreditation assures your customers that their business partner follows industry-established standards for processing payment and other transactions involving protected health information. EHNAC evaluates each FSAP applicant against sixteen financial criteria and three criteria that apply exclusively to financial and banking electronic health networks. Organizations are evaluated on technical requirements, timeliness of transactions, customer service, system availability, capacity, storage and retrieval, and other factors. 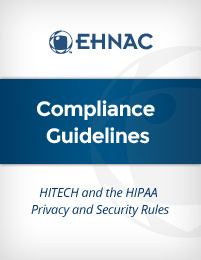 To review why it is critical for financial organizations to evaluate risk and implement proper controls with respect to healthcare data, see the “Compliance Guidelines for Financial Institutions in the Healthcare Sector: HITECH and the HIPAA Privacy and Security Rules” white paper published jointly by EHNAC, the Workgroup for Electronic Data Interchange (WEDI), Healthcare Information and Management Systems Society (HIMSS) Medical Banking Project, and The Electronic Payments Association (NACHA). Because we recognize the unique needs of this market niche, EHNAC offers two types of FSAP Accreditation to more closely match your situation. To begin the application process for the Financial Services (FSAP) program, please complete the application form through our website. Program criteria are located on the criteria page. Also, are you looking for hands-on support to help you through the pre-assessment steps, readiness planning process and more? Learn about EHNAC’s Consulting and Advisory Services which have been designed to support the Financial Services Accreditation Programs.